Got a GLOCK® 19/23/25/32/38 pistol (Gen 3/4 only) and want more concealability, comfort, safety,and firepower? In ten business days, FULL CONCEAL will convert your GLOCK into a M3D folding semi-auto! Las Vegas, Nev. (April 2018) – In 2017, a new firearms company emerged from the same-old, tried-and-true gun industry and introduced the game-changing M3D, semi-auto, folding pistol. The M3D consolidates all your everyday carry components (pistol, holster, spare mag, spare mag holder) into a more concealable, comfortable, safer system that when folded has a rectangular footprint that is SMALLER than a single stack sub-compact pistol (like a Glock 43). The M3D is amazingly THINNER than a holstered sub-compact pistol, because the folded trigger safety prevents any activation of the gun until it is almost fully unfolded, so no holster is needed. With the firepower of 22 rounds of 9mm, it will have the footprint of a rectangle (like a cell phone in your pocket) and you will have the comfort of being able to carry in more ways than any other weapon system in its class. No more worries about having exposed holster belt clips or adapting your clothing to meet your daily carry standards. For millions of Americans who already own a GLOCK®, FULL CONCEAL now offers a premium gunsmith service to convert existing GLOCKs into a FULL CONCEAL M3D. For $749.00, the FULL CONCEAL M3D conversion is all inclusive (shipping, parts, labor, warranty). The new gunsmithing service is available for GLOCK models 19/23/25/32/38 in Gen 3 and Gen 4. 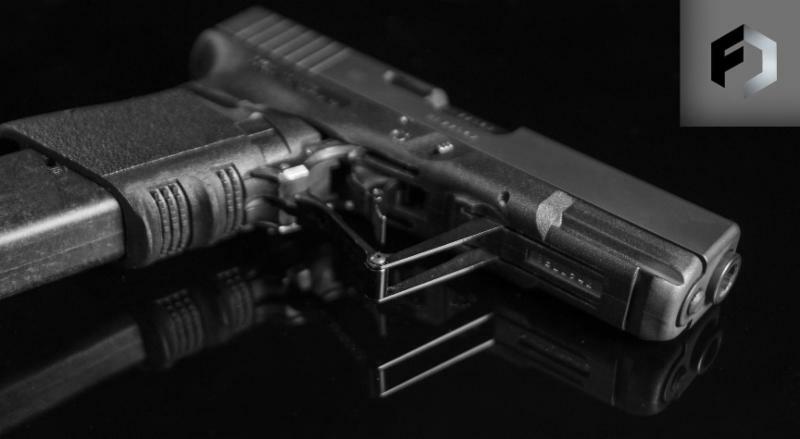 Purchase the service directly from FULL CONCEAL online and ship your Glock to FULL CONCEAL. All conversions come with a Magpul 21-round (9mm) magazine, except in states where there is a high-capacity restriction, the Magpul 21 magazine will be permanently riveted at the legal capacity. FULL CONCEAL will also be setting up ‘Certified Conversion Centers’ at gun shops all over the nation as an option for their conversion customer to drop-off and pick-up their pistol (so that they don’t need to wait all day at home for their pistol shipment). The FULL CONCEAL website will be updated to provide the locations of these Certified Conversion Centers. Visit FULL CONCEAL™ to learn more about the M3D, the new paradigm in concealed carry. See all the products at www.fullconceal.com. This entry was posted in pistols and tagged Full Conceal, Glock, M3D. Bookmark the permalink.